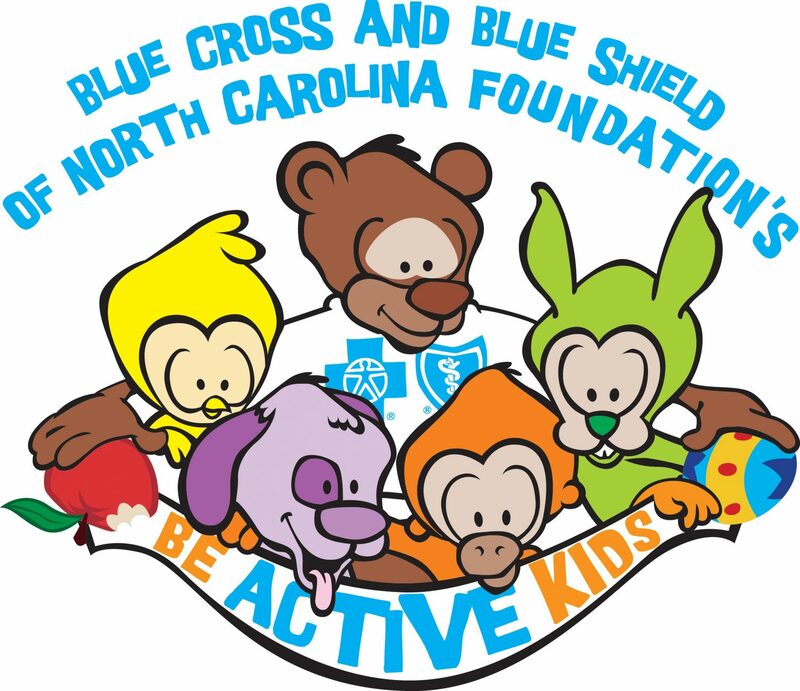 The purpose of POD Wake County is to address the overweight/obesity epidemic in young children attending childcare by creating a built environment intervention to transform selected childcare outdoor learning environments (OLEs) into active, productive best practice demonstration sites (eight in Phase One and eight in Phase Two). 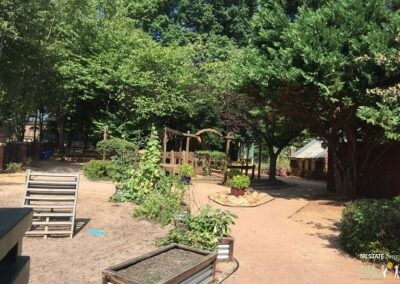 The six-year project focuses on design, management, technical assistance, and early childhood educator training to create high quality outdoor learning environments. 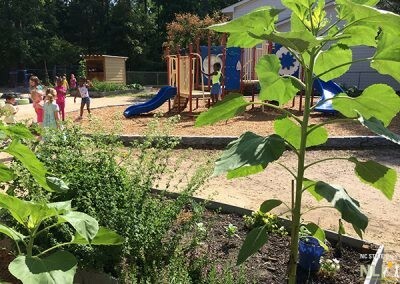 Creation of outdoor learning environment demonstration sites in Wake County through participatory design processes, training, site management, and community engagement and fundraising support. 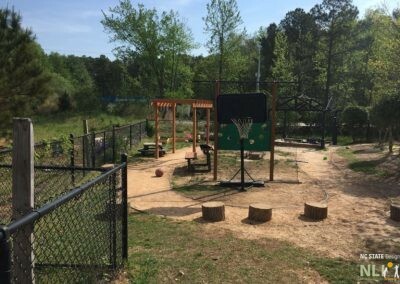 Technical assistance to convert unattractive “playgrounds” devoid of nature into productive OLEs for children, families, and the community. 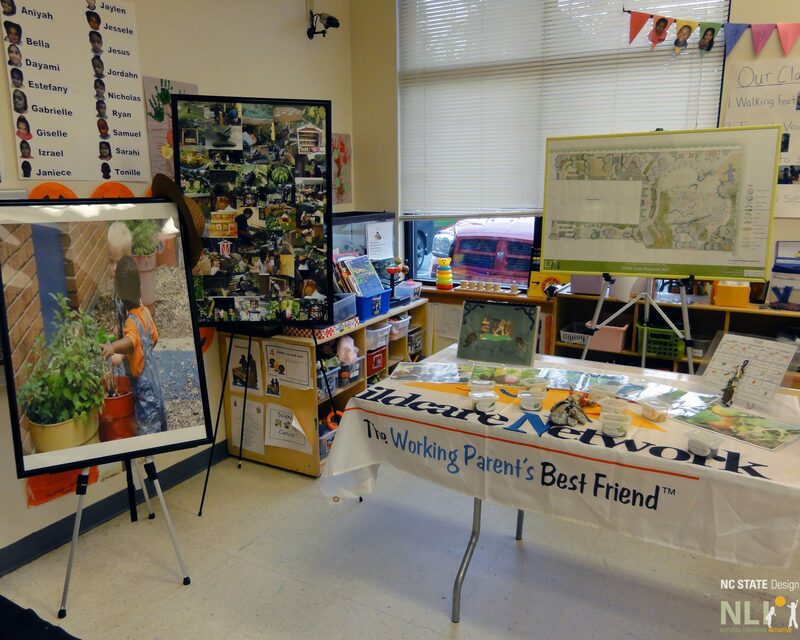 Study tours and interactive trainings at demonstration sites. 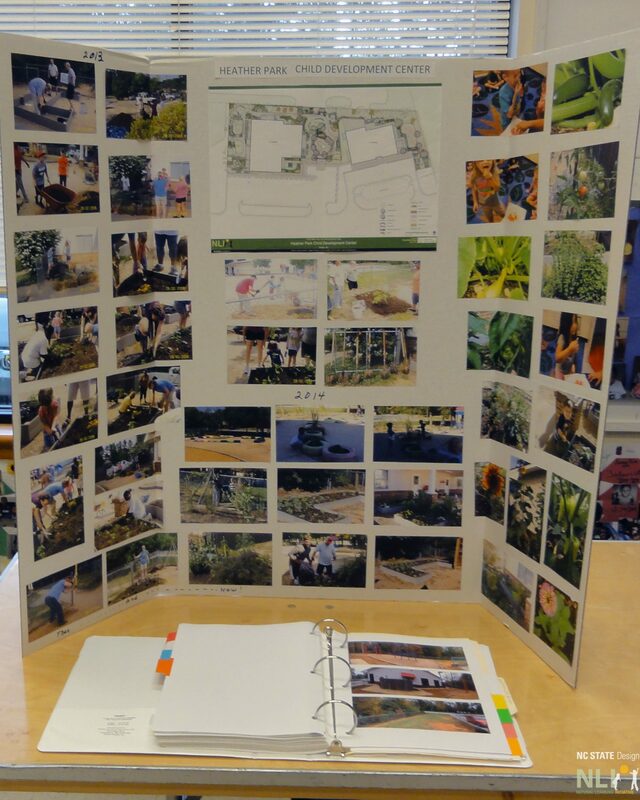 Interactive design sessions twice a year to engage additional centers (60 centers by the end of the project). 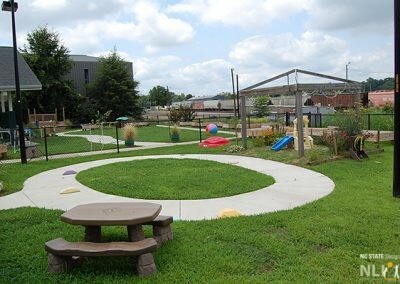 Evaluation process to measure environmental and behavioral changes including attitudes towards outdoor activities by childcare providers. Technical assistance provided on-call and online via publications, videos, the Green Desk, and NLI InfoSheet library on NLI’s website. 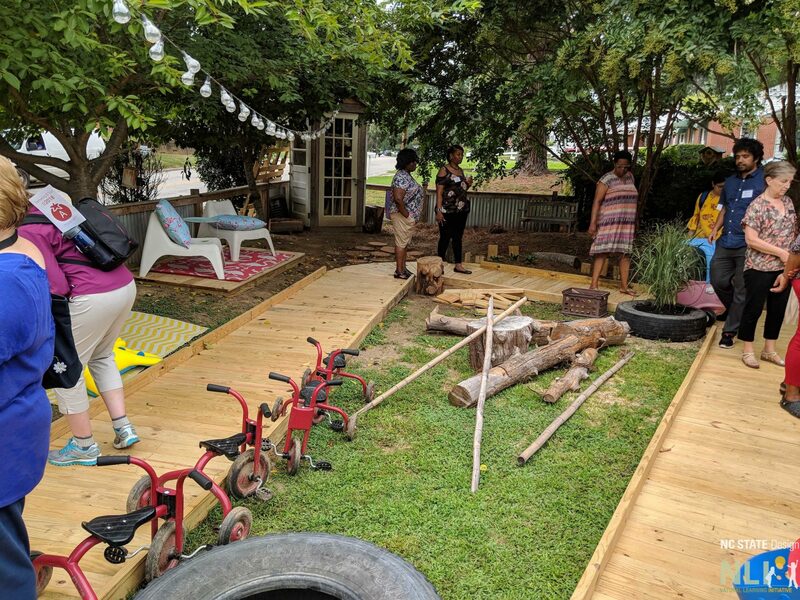 At the POD Wake Co. Design Workshops, childcare centers come together to better understand why young children benefit from spending time outside and how to make changes to their OLEs. 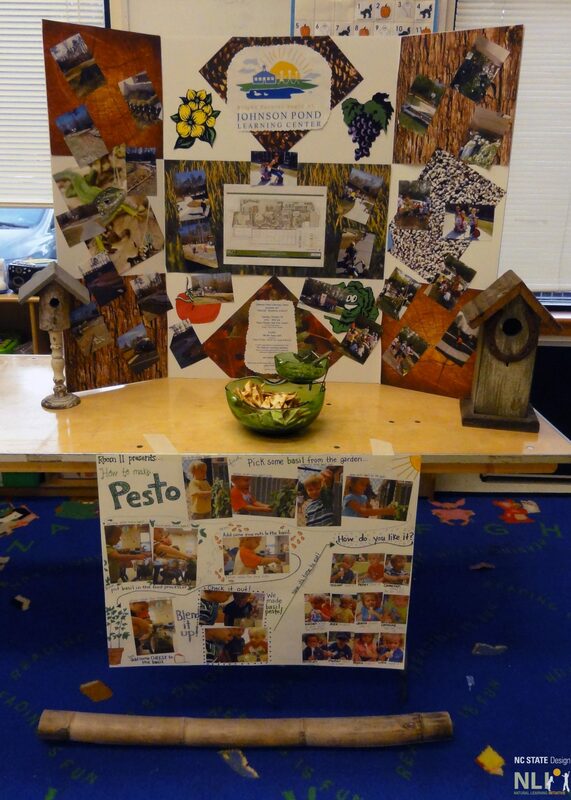 The sessions are a combination of presentations and hands-on activities and are the beginning of the POD process. The center owner, director, and/or staff along with an NLI design professional work using construction paper cut-outs to envision the center’s new OLE design following design best practices that promote physical activity, healthy eating, and learning. 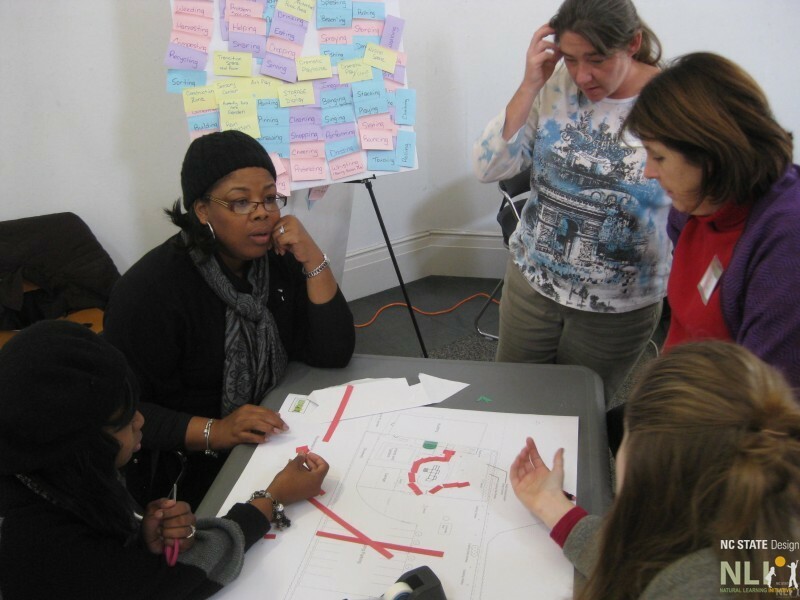 In 2012, NLI partner Advocates for Health in Action (AHA) joined us at the first POD Wake Co. design workshop. 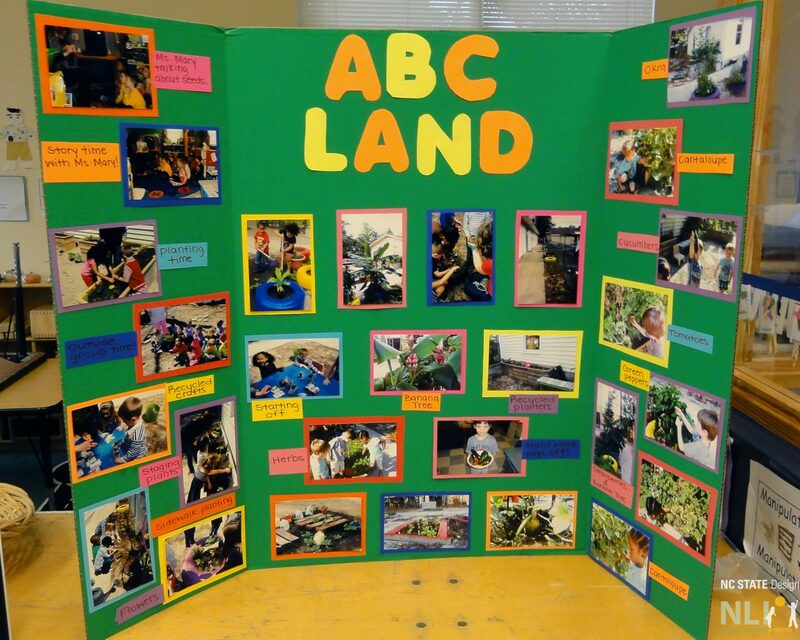 Check out the AHA article about the workshop. I gained a better understanding in how an OLE is designed. Putting ideas on paper, using visuals to design a plan and brainstorming. 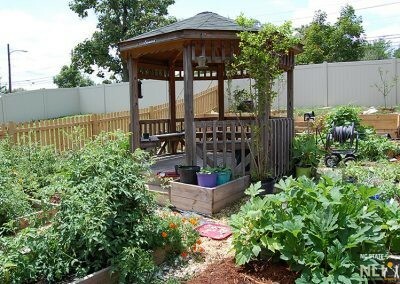 Sometimes just talking through an idea can create a better, a larger or a more desirable outcome. 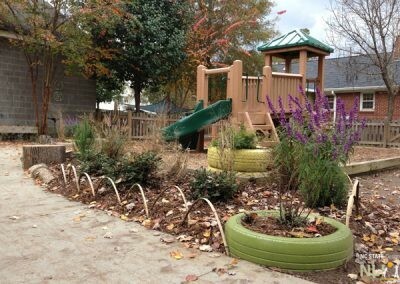 I am a hands on person so actually doing the design put the whole process into perspective. 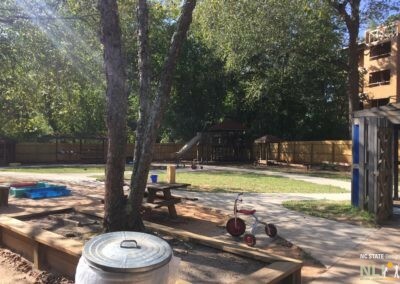 On November 1, 2014 more than 55 childcare teachers, center directors, and owners came together at Heather Park Child Development Center for an introduction to POD-Wake Co. demonstration center network and to the benefits of connecting young children to nature. 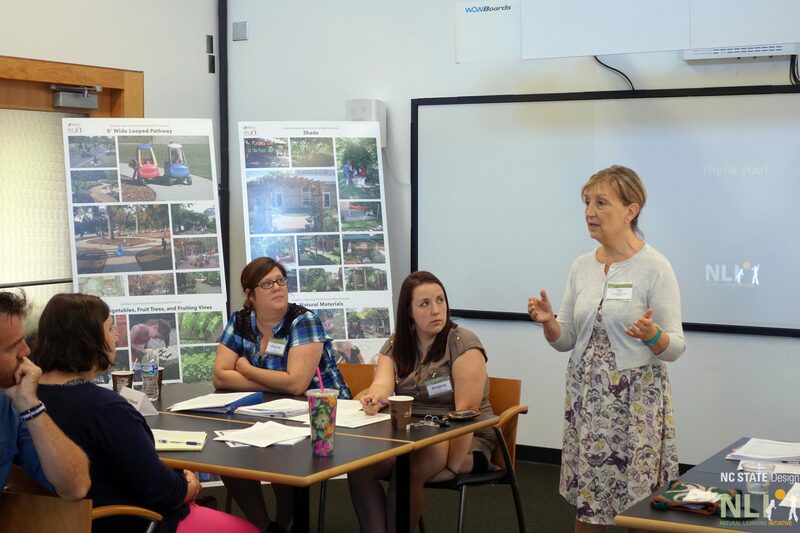 Eight demonstration centers, in two cohorts have participated in POD-Wake Co.. Each center worked with the NLI Design Team to renovate their OLEs through a participatory design process. 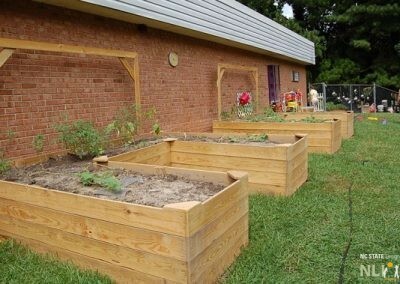 In addition, the POD-Wake Co. Garden Trainers and Wake Smart Start Quality Enhancement Specialists make regular visits to each center to guide implementation of the designs, utilization of community engagement and local resources, and planting, tending, harvesting, and eating activities with the children. 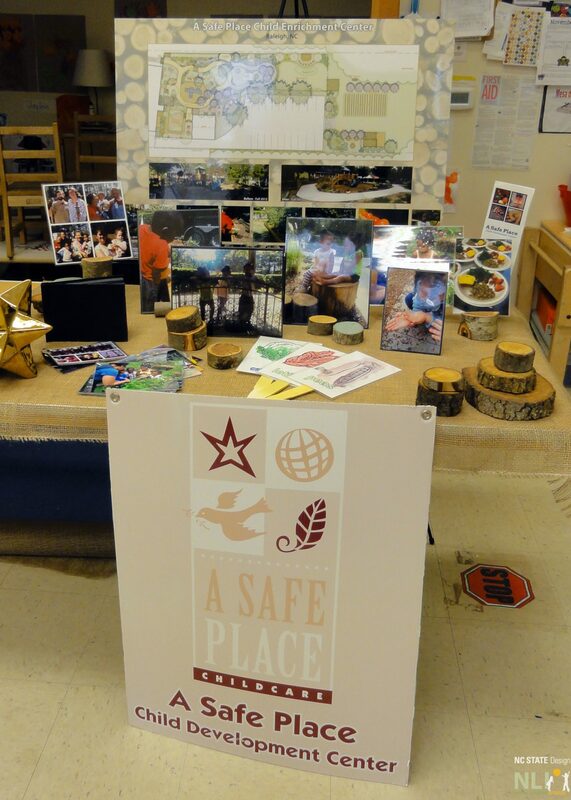 Each demonstration center created a tabletop display to share. 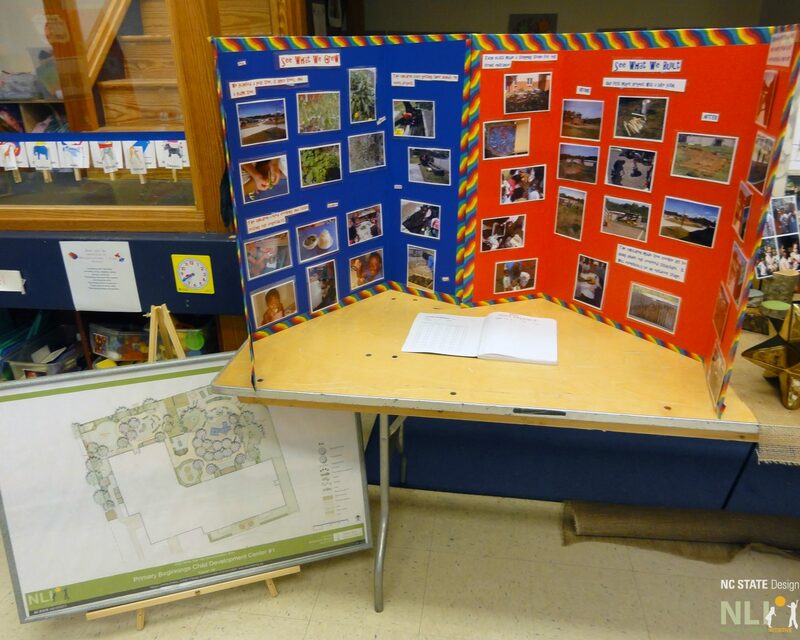 Participants circulated through the showcase display to see photos, site maps, and sample nutritious foods. 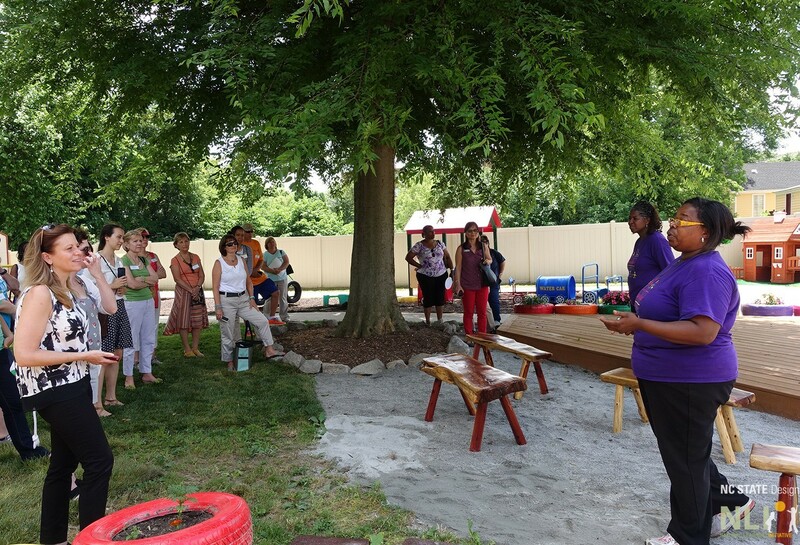 NLI's recommendations for the Heather Park CDC includes a story telling circle, which symposium participants were able to implement in 45 minutes. 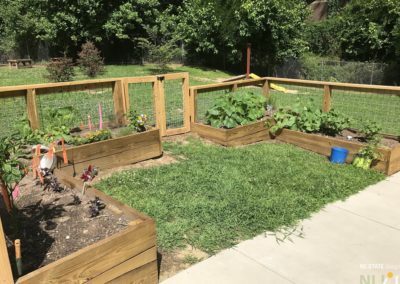 This hands-on activity gave everyone a chance to experience first hand the steps towards installing stump seats and planting small shrubs and trees. 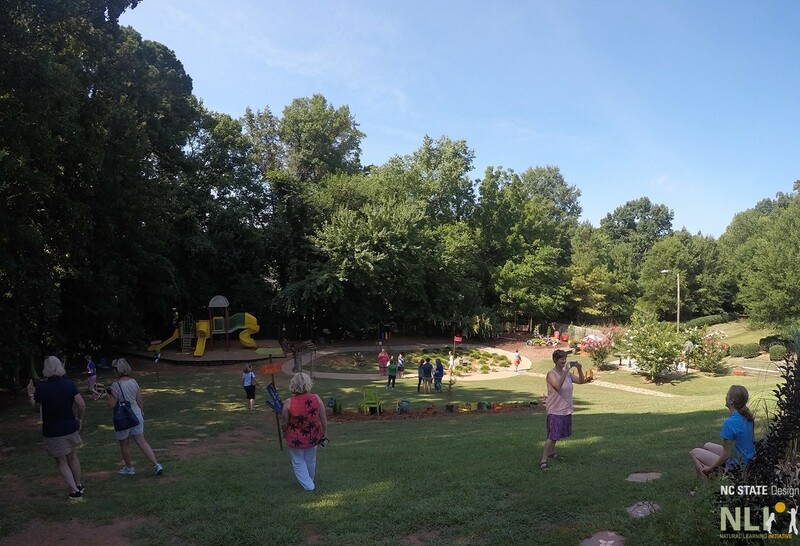 Participants left with a sense of accomplishment after completing this project and Heather Park is able to take advantage of a new setting as a result of hosting the symposium! 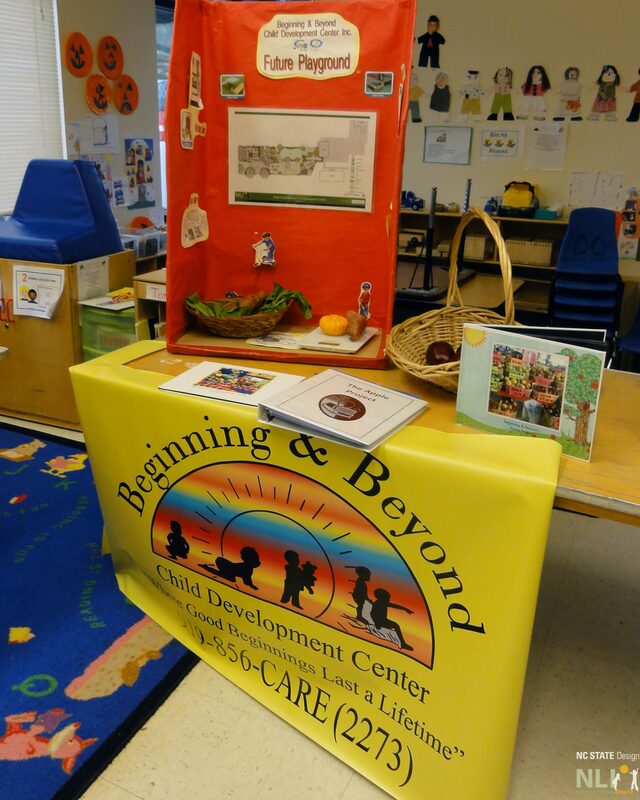 Beginning and Beyond Child Development Center Owner, Rosalind Blair, welcomes visitors to their renovated OLE. 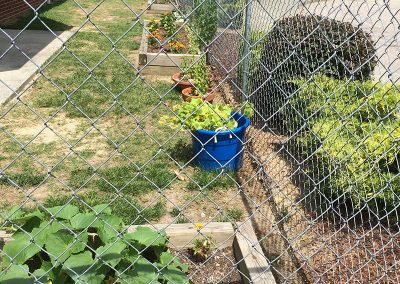 They have continuously added to the OLE since the last time they hosted tour visitors in 2015. 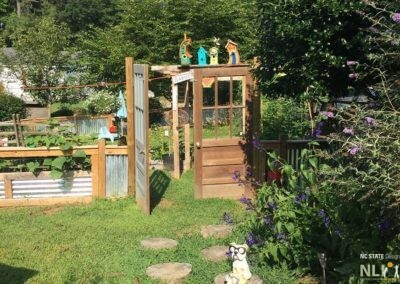 Visitors take in the fruited arbor at A Kind Garden (left) and walk along the wooden plank wheeled toy pathway (right). No matter what size, the potential for an OLE is great! 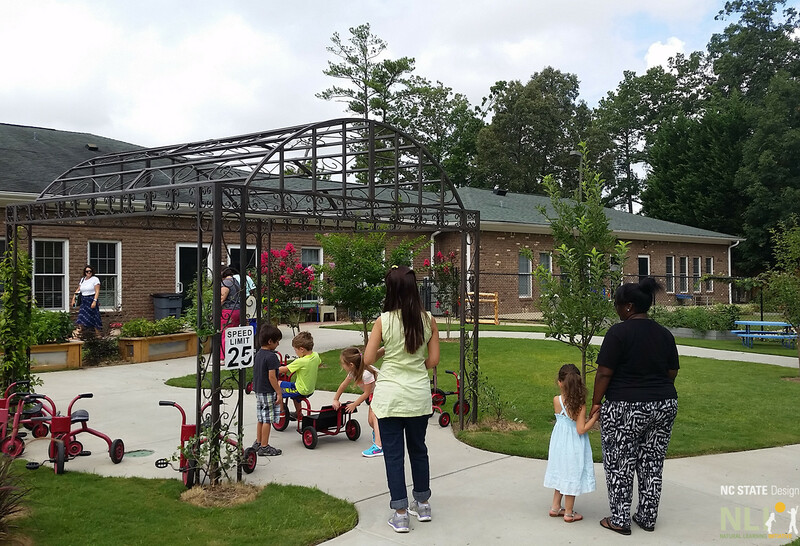 Visitors tour Johnson Pond Learning Center as they learn how an OLE can be adapted to young children of all age groups in a large center. 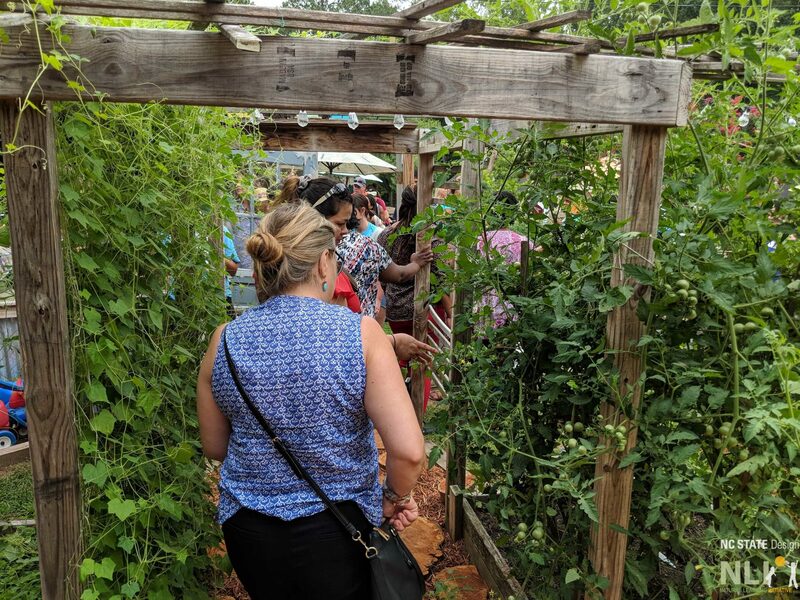 The POD Wake County Gathering and Tour presents a showcase of the progress in creating naturalized childcare center Outdoor Learning Environments (OLEs) in Wake County. 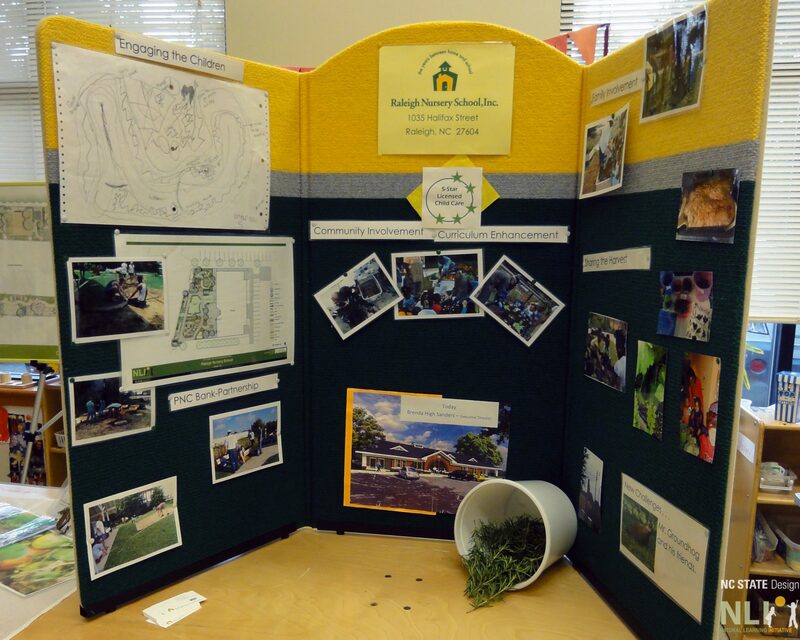 Presentations and bus tours to the POD Wake Co demonstration OLEs show how the Preventing Obesity by Design program supports children's outdoor activity and engages children in gardening, healthy eating, and outdoor learning. During the event you will visit three POD Wake Demonstration sites.